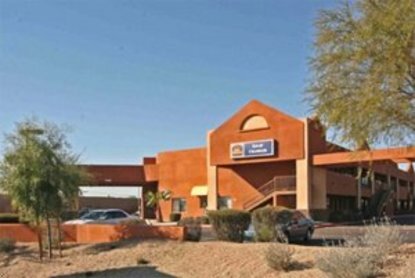 The comfort and conveniences of a luxury hotel for the business traveler or a vacationer are offered by the Best Western Inn of Chandler. All rooms and suites are wired for free high-speed Internet access and include a continental breakfast. Our suites all include a microwave, refrigerator and sofa. Our seasonal pool and year round spa offers comfort and enjoyment for our guests. Chandler is one of the fastest growing communities in the Phoenix Valley of the Sun. We are close to Chandler Fashion Square Mall, one of the largest in the area. We are also only minutes from Downtown Chandler and the Community Center, Arts Center and Chandler High School. Nearby are other fast growing communities like Gilbert, Sun Lakes and Queen Creek. Phoenix and the rest of the Valley can easily be accessed from the nearby 101 and 202 freeways. Our friendly staff is eager to serve you and assist with any request.